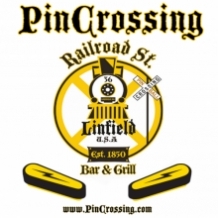 We'll be running a "Fair Strikes" pinball tournament at PinCrossing. Tournament starts at 7:15pm sharp! This is a "Fair Strikes" event. You will be paired in groups of three or four people and play a single game. Once you have five strikes, you are out of the event.